Join Fast Company editors and writers in New York, Chicago, and California on June 2 at 9:00am EDT for ongoing, live coverage. While we're likely to learn more about iOS 8 and OS X 10.10, will we also get some new hardware? Will we learn more about Apple's plans for Beats? Any sort of hint at iOS/OS X unification, for instance. Maybe they'll reveal that iCloud is finally useful. I hope to have some photos for you, but the connectivity is really wheezing here. So we expect to see Healthbook--Apple's new wellness platform (which I assume will also announce partners like Nike and Jawbone, maybe?) --what are the odds that we'll see a home automation platform? I see arguments each way. Healthbook seems like a given. 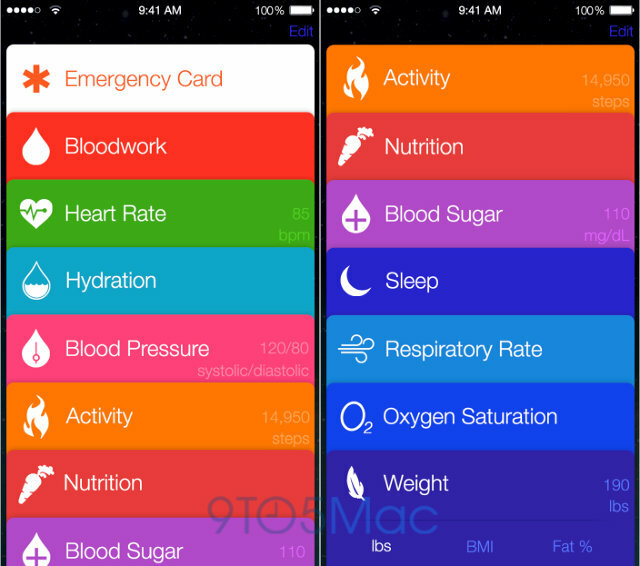 First hint of Apple's health plans. Also possibly something relating to home automation. We saw shades of how iOS can power connected devices with that demo of the Anki Drive toy cars last year, but I'm curious if they can get an entire industry on board with them. Google hasn't had much luck so far. What about Siri? We haven't heard from her in a long time. I feel like Apple may actually stay away from this space, now that Amazon does speech recognition with Fire TV, and Microsoft is leveraging it with Cortana on Windows phones. Healthbook leaked screen for context. Apple's hesitance to jump into the contextual computing space and expand Siri's functionality is a bit confusing. You already wrote about how well that technology meshes with wearables (in theory), and it just seems like the next big thing for tech in general. I would assume some Siri updates. Overall, I think Google has a healthy lead on this concept with Google Now. Basically, anything Mark Gurman reported for 9to5Mac is likely true. Software is MUCH easier to keep secret than hardware--hardware requires partners, factories, etc. More opportunity for leaks. But services and standalone apps have never been Apple's strength historically, so it will be curious to see if they can reverse that trend. Apple loves hardware, basically. Right. That's where they make all of their money. The software is an excuse to sell that hardware. Operating systems aside, the software is also rarely spectacular. The hardware makes money; the software provides a high percentage of the differentiation. Apple made that official last year when it started making most of its consumer iOS and OS X apps free with the purchase of its hardware. You know, that's what I think is so interesting about the Beats purchase. 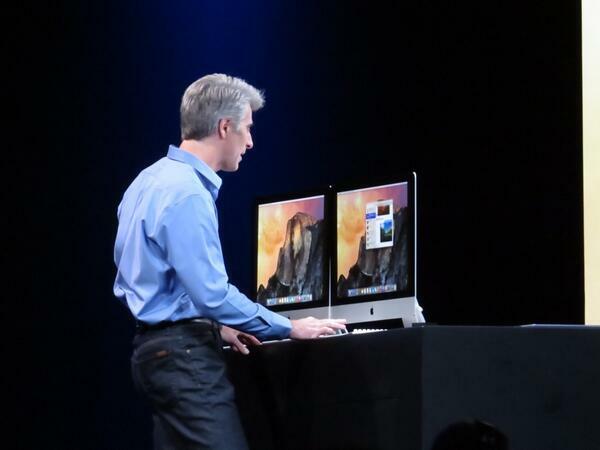 Everyone says it's for the software--for streaming music. But in reality, while that's probably a bit true, I think Apple will make their hardware business a lot more profitable than it's been. I think the hardware justifies the purchase of the software on the balance sheet. Purely in terms of dollars and cents, selling headphones with the margin that Beats headphones have is an attractive proposition. Boring, but attractive. What's the incentive for Apple to be first to market with a new hardware category? I don't see much. Wait for a competitor to get in and then learn from their mistakes. Apple's done that in the past. Did you see the recent report, Harry? The Beats margins were far lower than expected. The reason? Inefficiency in the supply chain. Apple can definitely bring efficiency into play. Yup. Beats by Apple is a better business than Beats by Dre. Here's that report I alluded to for everyone not following our esoteric conversation! I think I've given up on photos: My Verizon connection is wheezing on a 69K low-res JPEG. Word on the street: The truly big stuff did not leak. Are things quieting down yet over there, Harry? So weird all this transparent desktop stuff that Apple is showing off actually debuted in Windows Vista. Yosemite Spotlight uses Bing for Web search continuing the deGooglization of Apple products. Johnny Ive custom-crafted al-u-minium chili spoon gag. Craig just made an authentically great joke about Jony Ive's custom-made diamond-chamfered chili spoon. Craig Federighi is announcing "iCloud Drive." The joke was: You just have not had chili by the campfire until you've had it on one of Jony Ives' diamond-crusted 'al-u-minium' chamfered spoons. iCloud Drive is a new feature that looks just like Dropbox. He's rushing through this stuff so quickly there must be a LOT more to come. iCloud Drive: "You can store your own files in any sort and organize them however you wish with folders and tags and they're synchronized automatically across your Macs," Federighi says. "What the heck? We're throwing in Windows too." With iCloud Drive, Apple is going head-to-head with Dropbox, Box, and others. Cross-device syncing and it works with Windows. How much does it cost I wonder? iCloud sort of evolving into what a lot of people wanted it to be in the first place. New Mail features: A new feature called Mail Drop will allow users to send encrypted attachments up to 5 GB in size. Users will also be able to sign PDFs with their iSight cameras.